Between 10 and 15 new cases of skin cancer are treated each month at the Dermatological and Skin Surgery Institute Dr. Huberto Bogaert Díaz, center located in the National District. Carcinoma is defined as cancer that starts in the skin or in tissues that line or cover internal organs. 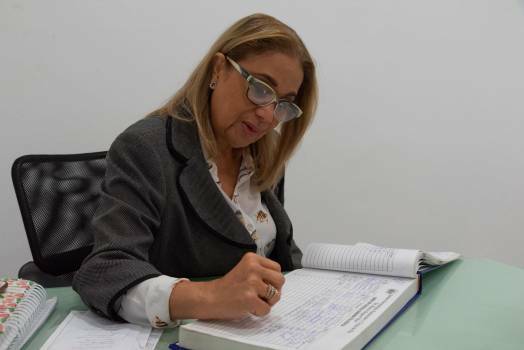 The figure registered in the Dominican Republic might seem normal, but it is not, taking into account that cases have been increasing in recent years and that of that amount, between 15% and 19% turns out to be malignant, agreement with data provided by Dr. Luisa González, widow Bogaert, assistant director of surgery of the institution. Also disturbing is the fact that the type of people it affects is changing. “A point that we must take into account, that we have seen that every year the incidence is greater, definitely is increasing and the racial characteristics have varied, for example in the years 1985–1990, the condition would present in patients of fair complexion, and that has changed. This hasn’t been the case before and now it presents in all skin phototypes,” he said. It is also concerning that in some cases, former patients who return with other injuries, because they have already suffered sun damage and an alteration in their dermal genetics, are cured of skin cancer and usually develop another type. The most common skin cancers in the world and in the Dominican Republic are basal cell carcinomas or basal cell carcinoma. In the former, cases are around 80%, and squamous cell carcinoma, whose percentage is between 15% and 19%. The remaining 1% corresponds to malignant melanoma, which is fatal. This type of carcinoma usually presents as an ulcer, a peeling or an erythematosquamous plate that does not heal. “The majority of this carcinoma is on the face because they are in areas exposed to the sun,” he says. Basal cell carcinoma, the one with the greatest manifestation and which is not lethal, appears as a papule, which many patients confuse with a pimple of acne that never goes away. “It can present in a slight peeling, or a small sclerosed plaque, which looks like it’s wax. The person is usually affected by this type of carcinoma for 15, 20, 25 and 30 years. The main cause of skin carcinomas is sun exposure, but there are also other factors such as environmental pollution, which has changed due to the deterioration of the ozone layer. Exposure to negative electrical charges, such as those emitted by computers and certain types of lights and smoking. The main treatment is removal surgery, but there are other options to apply according to each case. If the patient has a carcinoma of epidermoid cells, depending on the degree of invasion, metastasis, size, and location, he needs radio or chemotherapy. There are also grafts, flaps (which are facial reconstruction with skin) and cryosurgery, which is liquid nitrogen that freezes neoplastic tissue or damaged tissue, among others. 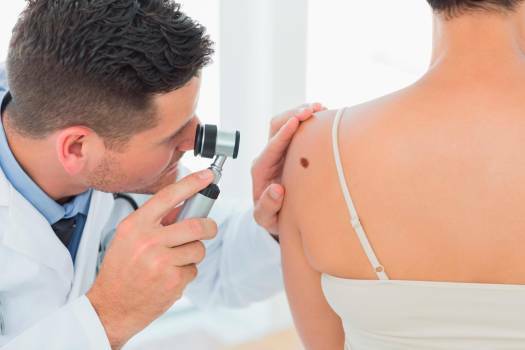 According to the doctor, people who have between 15 or 20 “nevi” or moles on their bodies should be checked periodically. It also asks to go for a checkup when a mole has changed in size or color, has been apostilled or emits blood or another type of fluid. Also when it ulcerates. This type of mole can become a carcinoma, which is why it should be monitored, he says.